Time to Newsweek: Oh yeah? Try and top this. ThinkProgress, like Alec McGillis before it, catches Richard Mourdock in a Civil War mood. 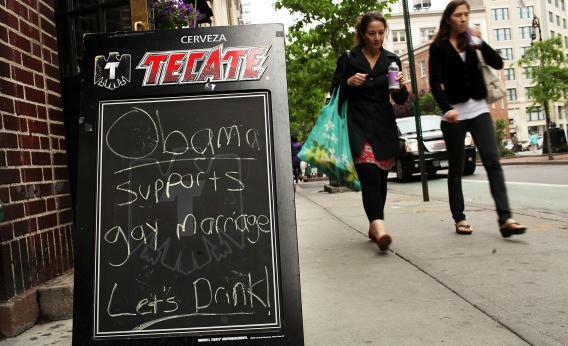 Nathaniel Frank on why Obama’s opinion matters to gays. John Dickerson on why Obama should thank Biden. And Democrats raise money off of it. Meanwhile, Pema Levy talks to legislators, putting together the first piece that really explains why a presidential musing that changes nothing legally has an effect politically.